The Jumeirah Burj Al Arab recently was the world’s first hotel to open a large terrace over the sea. 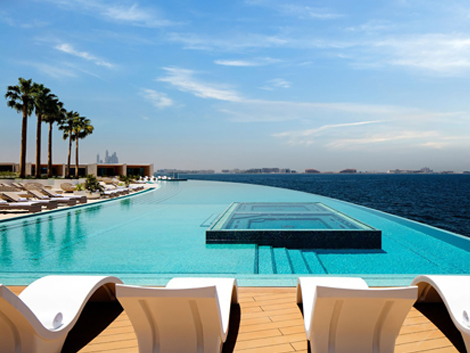 The iconic hotel in Dubai is unquestionably one of the most luxurious and innovative hotels worldwide. This is why the Burj Al Arab decided to work with Esthec® Terrace. Often referred to as the world's only seven-star hotel, the Burj Al Arab selected the premium composite terrace material for the lounge terrace of one of its restaurants. Esthec® Terrace’s luxury appearance perfectly matches the exclusive interior of the restaurant.